The maniacal laugh, the signature goatee, the raised eyebrow, the barrel-chested physique that carried the powerhouse of a man. 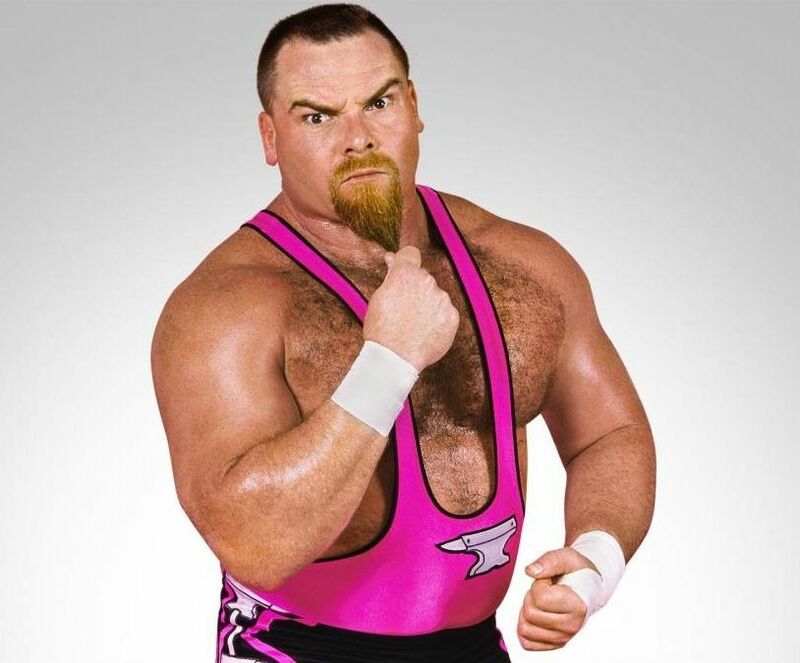 Jim “The Anvil” Neidhart was a perfect fit for the over-the-top characters that dominated the WWE (then WWF) landscape during the mid-1980s. Outgoing and boisterous, Neidhart was the antithesis of his mild-mannered and technically sound tag-team partner Bret Hart. But it was Hart who had understood what Vince McMahon had not. Initially paired as opponents instead of partners, Hart convinced the WWE owner that his company would be better served by putting the two together as a tag team. Despite their differences in style and appearance, the combination clicked. So much, in fact, that the two became one of the most celebrated duos during the heyday of the company’s tag-team division during the late ‘80s and early ‘90s. Flamboyant Memphis manager Jimmy “Mouth of the South” Hart (no relation to the extended Hart clan) completed the equation, and The Hart Foundation was born. While their careers would go in separate directions several years later, “The Pink and Black Attack” will be forever remembered as one of the great tag teams in WWE history. Neidhart’s death last week at the age of 63 brought back many of those memories from colleagues and fans who shared fond recollections of that special time. If Jimmy Hart and Jim Neidhart were indeed “evil twins,” Neidhart and Bret Hart were bound by something much stronger and long lasting. The two were products of one of pro wrestling’s most famous families, the Hart clan, run by patriarch Stu Hart, whose infamous “Dungeon” training facility at the Hart home in Calgary, Canada, painfully introduced dozens of aspiring grapplers to the sport. Jim Neidhart was one of them. A world-class athlete and high school shot put record-holder from California who unsuccessfully gave pro football a shot (he did appear in preseason NFL games with the Oakland Raiders and Dallas Cowboys), Neidhart proved to be a natural in the wrestling business. Not only did he garner success in Stu’s colorful Stampede Wrestling promotion, he became a part of the famous wrestling dynasty when he married Stu’s daughter, Elizabeth “Ellie” Hart. It also made booking that much easier for Hart, who was serving as Stampede matchmaker at the time. The 6-2, 280-pound Neidhart, who earned his nickname after winning an anvil-throwing contest that Stu had entered him in at the annual Calgary Stampede, also would become part of the deal when McMahon began his national expansion, gobbling up the established regional promotions, including Stampede. Part of the bargain involved McMahon agreeing to bring in some of Stu’s top stars to the burgeoning WWE, namely son Bret, sons-in-law Neidhart and Davey Boy Smith, and Smith’s cousin Dynamite Kid (Tom Billington). The four would enjoy one of the period’s great tag-team programs: The Hart Foundation (Hart and Neidhart) vs. The British Bulldogs (Smith and Dynamite). Hart and Neidhart would go on to win WWE tag-team gold in 1987 and 1990. While Bret was considered the “heart” of The Hart Foundation, Jim was the “soul,” said Bruce Hart. “He had a unique, compelling type of personality, not only endearing to the fans, but to his fellow wrestlers too,” added Hart. As the business began to change, and more emphasis was placed on the smaller, more skilled singles performers, the ultra-talented Bret Hart began his ascension up the company ladder. While Neidhart had always been the talker on their team, Hart was more reserved, hiding behind mirrored sunglasses. The die had already been cast, though, when the team dropped the WWE tag title for the final time to The Nasty Boys. Neidhart was ousted, and Hart received the mega-push. Neidhart still enjoyed some key moments after leaving WWE in 1992. He returned as part of an expanded Hart Foundation in 1996 and 1997 alongside brothers-in-law Bret Hart, Owen Hart and Davey Boy Smith, and Stampede product Brian Pillman. The pro-Canadian faction drew tremendous heat with their anti-American rants, and a program with Stone Cold Steve Austin became a highlight of WWE’s Attitude Era. Bret Hart is now the only wrestler from that faction still alive. Neidhart, who last competed in WWE in 1997, formed a short-lived tag team with “British Bulldog” Davey Boy Smith in WCW the following year. The glory years, however, were far behind him as personal and legal issues mounted. There were brushes with the law and time spent in rehab. But Jim Neidhart was not done. Appearing at times with wife Ellie, the show demonstrated the close bond he had with his daughter. “We were an amazing tag team,” said Nattie. Neidhart died last Monday at his home in Wesley Chapel, Fla. According to reports, his wife Ellie told emergency personnel that her husband was having difficulty sleeping, had gotten out of bed to adjust the thermostat, and collapsed while apparently having a seizure. He hit his head while falling and died shortly afterward. Emergency officials arrived at the Neidhart home and found him on the floor with a four-inch gash on his face. Ross Hart said Neidhart had been suffering from Alzheimer’s disease and that it was believed he suffered a grand mal seizure. He was taking medication for seizures, with the last one reportedly occurring last December. Daughter Nattie mourned her father’s loss on social media. “I can’t put into words how hard it is going to be for myself and our family to have to say goodbye to my dad. He meant the world to us, and nothing will ever replace the special times we shared together as a family,” she said. Nattie also paid tribute to her father in a Calgary Sun column last week. WWE executive Paul “Triple H” Levesque praised Neidhart in a message on social media. “The only thing bigger than his on-screen character was his heart. Jim ‘The Anvil’ Neidhart loved performing with and spending time with his family ... and he made us all smile while doing it,” said Levesque. “Jim was an important part of the landscape during one of the most important periods in the industry,” tweeted former WCW boss Eric Bischoff. “He was always with me and a real friend through the good and bad. Love and miss you already, Jim. RIP my brother,” tweeted Hulk Hogan. When times were tough, and there were many for the Hart family over the years, Bruce Hart said his brother-in-law was always a pillar of strength. Legendary announcer “Mean” Gene Okerlund remembered his friend with a Facebook post. “So many thoughts from my years working with Jim ‘The Anvil’ Neidhart. One that stands out is when Bret Hart was talking during his portion of the interview, Neidhart would be playing that short red beard of his like a Stradivarius. When it came for him to talk he would use the beard as a prop. It was a very effective way for him to show his intensity.